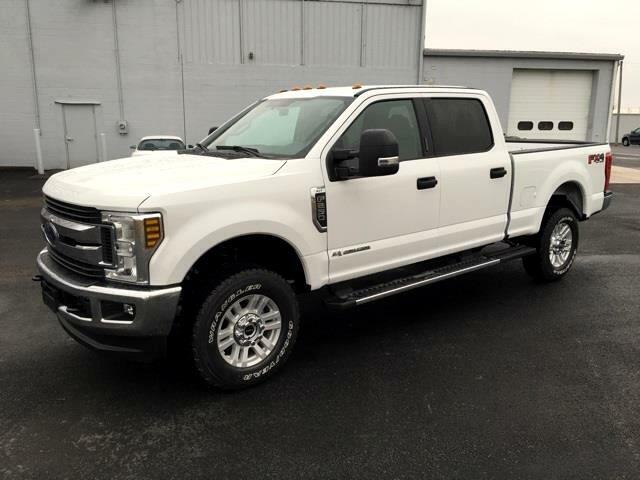 2019 FORD F-250SD....XLT PKG...TRAILER TOW...6.7L DIESEL...REVERSE AID...PWR SEAT...FX4 OFF ROAD PKG...SYNC 3...SNOW PLOW PKG...WOW!! !...New Price! INTERNET BEST BUY! !, BACKUP CAMERA, *115 POINT SERVICE INSPECTION COMPLETED, www.KERNSSUPERSTORE.com, 4D Crew Cab, Power Stroke 6.7L V8 DI 32V OHV Turbodiesel, 4WD, 6" Angular Chrome Extended Running Boards, 8-Way Power Driver's Seat, Autolock/Auto Unlock, Fog Lamps, FX4 Off-Road Package, GVWR: 10,000 lb Payload Package, Hill Descent Control, Off-Road Specifically Tuned Shock Absorbers, Power-Adjustable Pedals, Reverse Sensing System, SecuriCode Driver's Side Keyless Entry Keypad, Unique FX4 Off-Road Box Decal, XLT Value Package. Oxford White 2019 Ford F-250SD XLT 4WD Power Stroke 6.7L V8 DI 32V OHV Turbodiesel...REBATES TO DEALER...SOME FORD FINANCING MAY-BE REQUIRED..